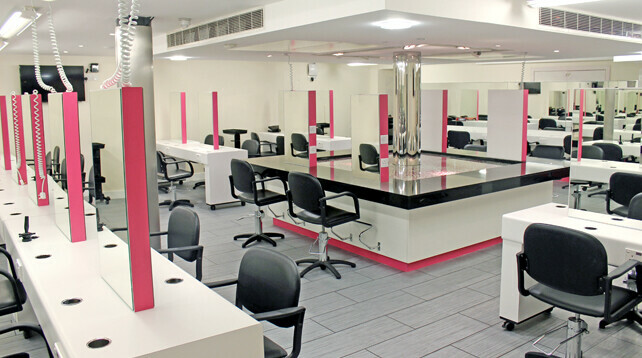 Situated in the historic City of London’s Smithfield area, Ipswich in Suffolk and, very shortly, Chigwell, Essex, Alan d Hairdressing Education is the number one destination for Ladies Hairdressing and Barbering training. Our Barbering and Hairdressing schools are purpose-built using bespoke equipment and created to reflect the look and feel of a salon or barbershop. Alan Hemmings has been part of the barbering and hairdressing industry for nearly 60 years and ensures that the highest standards taught to him are still met today. In 2010 his dedication to the industry was rewarded by the Fellowship for British Hairdressing with a Lifetime Achievement Award for services to Hairdressing & Education. Creative Director & Director of Education Edward Hemmings left a career in Banking over 25 years ago, trained with the company and now ensures the smooth-running of the schools on a daily basis whilst still looking after his numerous clients and running industry events as a host and compere.